If for whatever reason, you can't get your spreadsheets to paste into the gray instruction box, copy them into a regular spreadsheet application s(such as excel, openoffice, etc.) 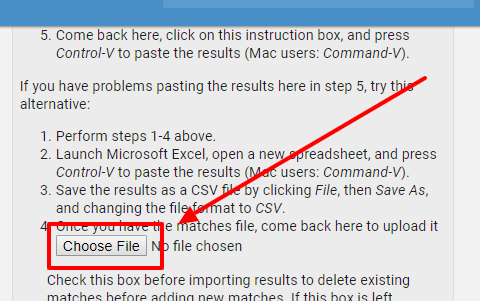 on your computer and save as a CSV file. Return to the RootsFinder DNA matches upload page and click on "Choose File."